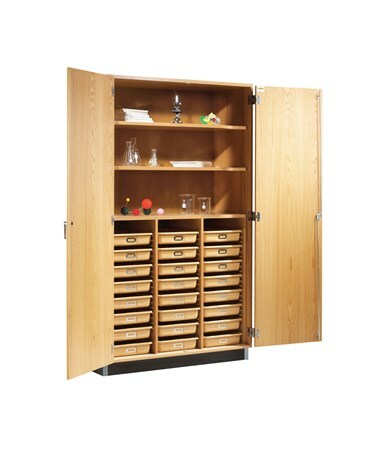 The Diversified Woodcrafts Tote Tray Cabinet provides organized storage for students’ art and science projects. It has hard plastic tote trays that are 19 inches wide, 14-14/4 inches depth and 3-1/2 in height. Available in 24 trays and 48 trays option, the 24 trays tote cabinet comes with two adjustable shelves. It includes two hinged oak doors with three-point locking handles. This cabinet is made up of your choice of maple or oak veneers. It is coated with the chemical resistant, earth-friendly UV finish. 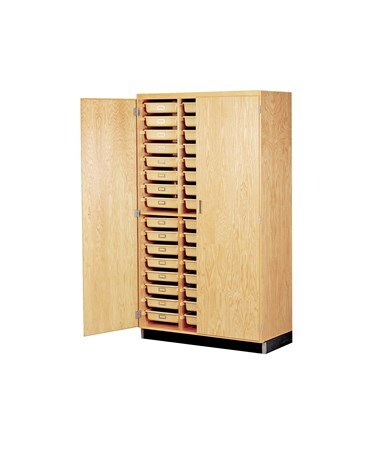 This Diversified Woodcrafts Tote Tray Cabinet measures 48 inches wide, 22 inches deep and 84 inches tall. 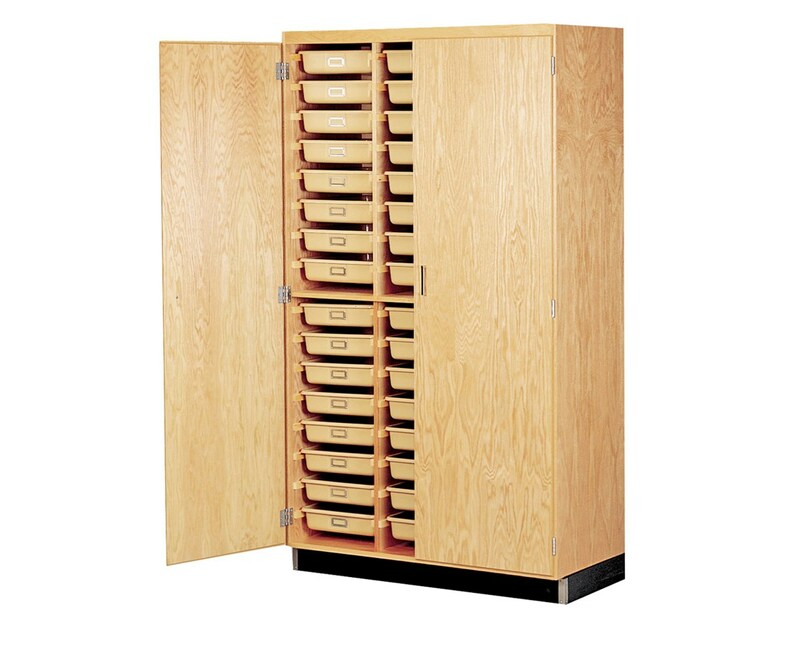 The Diversified Woodcrafts Tote Tray Cabinet is made in the U.S.A. and is SEFA compliant and MAS Certified Green. It also comes with a limited lifetime warranty. 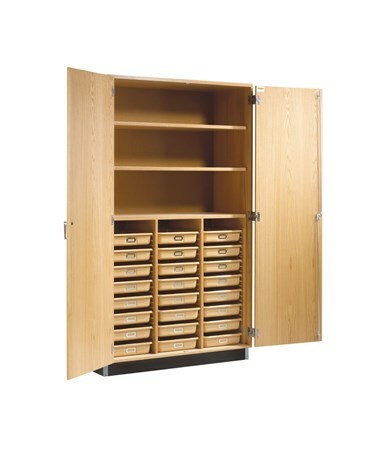 The Diversified Woodcrafts Tote Tray Cabinet is available in three different models. Please choose from the drop-down menu above.